"Where we put your family's health and wellbing first!" 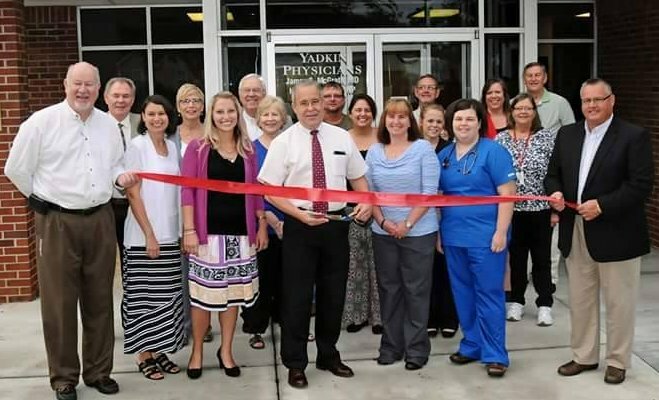 James McGrath, M.D., PLLC is a small family practice that was founded by Dr. James McGrath in Yadkinville, N.C in October of 2015. Dr. James McGrath is now accepting new patients, both pediatric and adults. Please see the links below to download and print our new patient application and records release. If you are a former patient of Dr. McGrath's or Yadkin Valley Community Physician's, you will need to also download and fill out the medical records release form from the county, so that we may obtain your records from them as well. Manage your care on line with your secure, convenient, 24/7 patient portal access. This also gives you the ability to message your doctor directly. Please call us if you need assistance setting up your portal account or if you have any questions. Click the here to access the Patient Portal.